Sometimes Tina surprises me with what she brings home from her market shopping trips and the other days was one of those times. I arrived home to a great looking Snapper that I was to cook for our dinner. 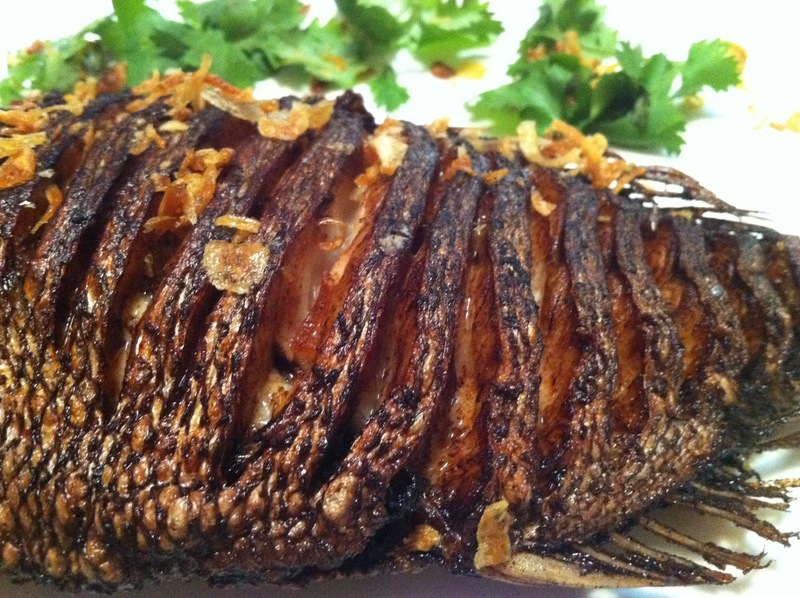 I love deep frying whole fish in the wok and snapper is perfect for it. 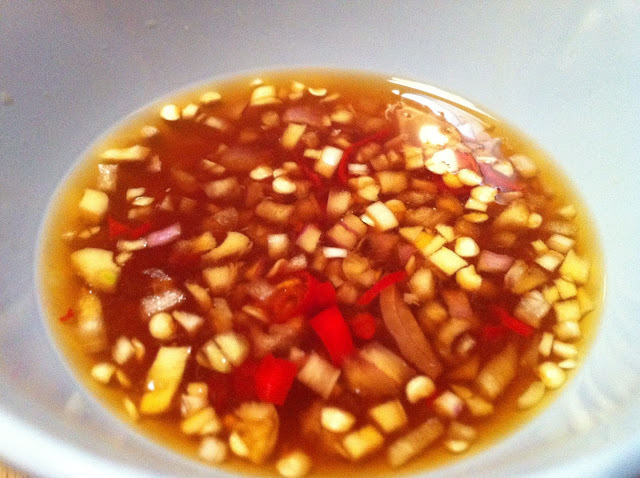 I have a few recipes thatI've used in the past but some of you will know that lately I have been a bit obsessed with the Thai Fish sauce (and other products) brand Megachef. I bought a bottle from Nathan Thai in Footscray recently and thought it was excellent so of course I checked them out on the internet and discovered that the Megachef food ambassador is none other than the legendary David Thompson! Of course that just made me like it even more. The Megachef website is definitely worth checking out, http://www.megachef.co.th/ENGLISH/. I have previously stated that I love free chef recipes and the Megachef site has four great David Thompson recipes that you can download for free! I intend to cook them all and started with the Deep Fried Fish served with Chillies in Fish Sauce. It was great, very simple but very tasty. I really like David's way of thinly scoring the fish, it gives it such a great texture and also looks pretty cool too. The site also contains some great information about how fish sauce is made including a factory tour and information about other Megachef products. I am particularly fond of their Premium Thai Chilli Paste, this is a great product with so many uses. I used to use the Pantai Norasingh Chilli Paste in Soy Bean oil but I am now converted to Megachef. In case you are wondering I am not receiving anything from Megachef, I just really like their products. You can't see it in the picture but the Megachef fish sauce contains no hydrolysed vegetable protein like the 3 Crabs brand which is really a Vietnamese fish sauce. Yes apparently there is a difference! It is also MSG free and it naturally brewed for 2 years. Even better, it isn't that expensive at around $4 a bottle it's cheaper than 3 Crabs which is usually $5 plus. The chillies in fish sauce was the perfect accompaniment to the fried fish although I did tone down the chillies, DT suggests that you use 5-10 but I used only three and it still had more than enough kick. Yes, we really enjoyed it! 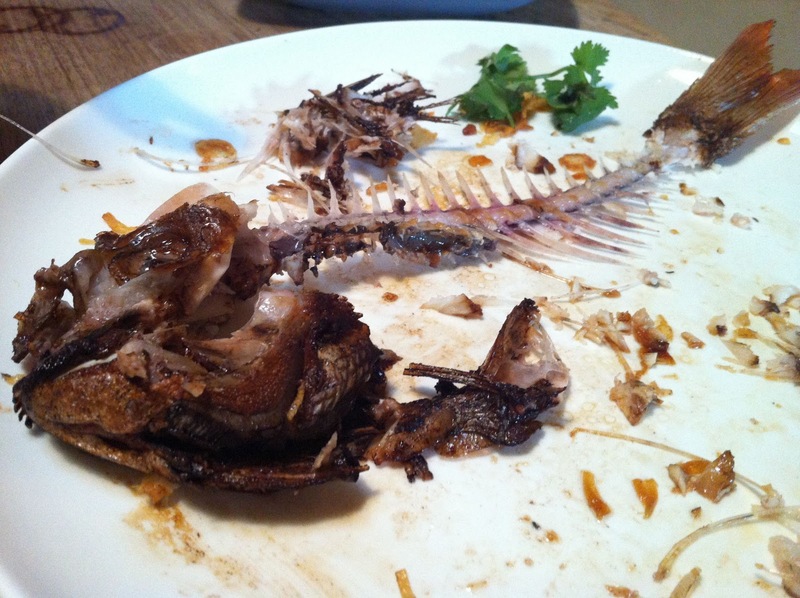 There's something so good about completely devouring a whole fish, makre sure you don't forget about that succulent flesh from the cheek! Hi CorrieCooks, great to hear there are other Megachef fans out there! 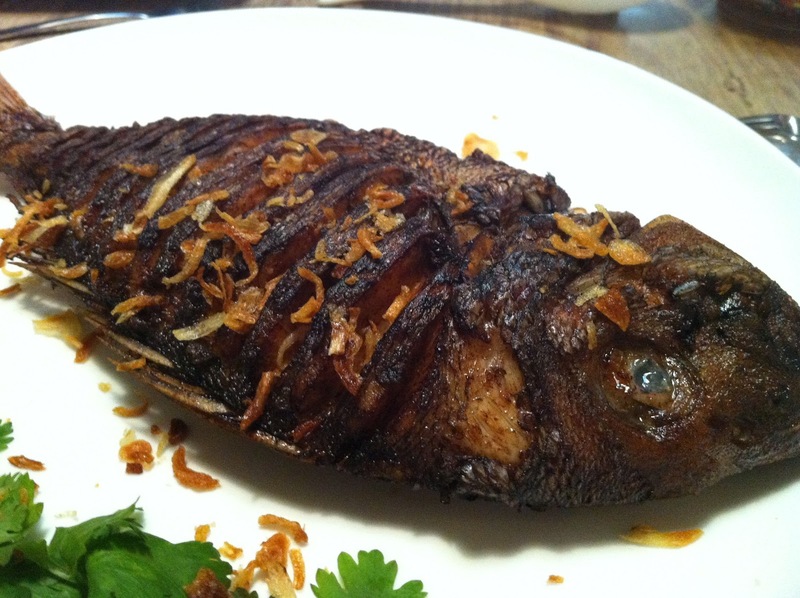 The Megachef Nam Prik Pao is also awesome but I am having trouble finding it lately. 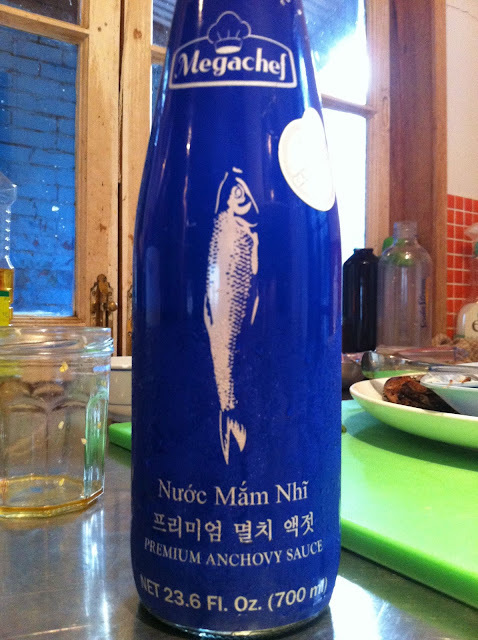 I just came back from Bangkok and have this fish sauce. Questions is what is the difference between the Thai vs USA product other than the label color? Hi Anon, good question. Sorry but I don't know the answer. I had the blue version but now I have the brown one. I'll grab a blue bottle next time and compare ingredients. The label (other than colour) is certainly quite different and maybe that's the only difference. Check back every so often and hopefully I'll have an answer for you soon. In any case, I've tried both versions and they were both excellent.